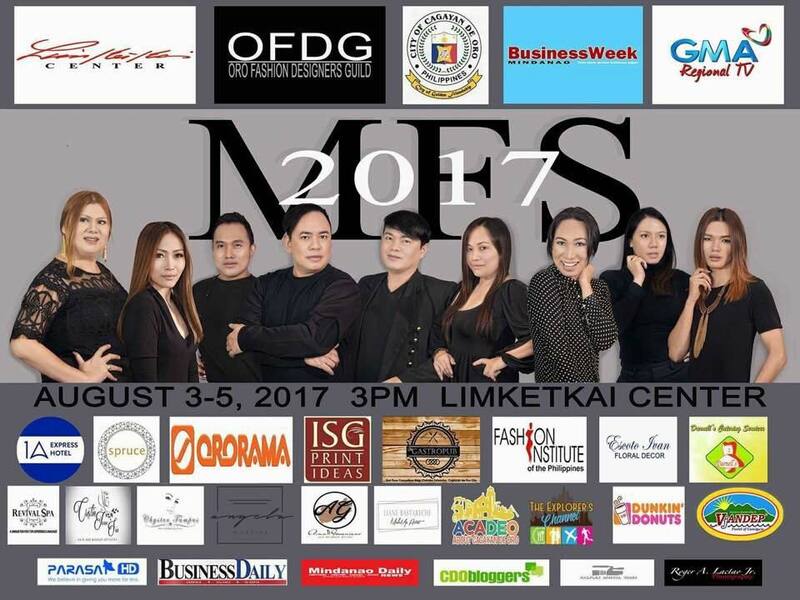 The Mindanao Fashion Summit is an annual event organized and produced by Oro Fashion Designers Guild led by Mark Christopher Yaranon. The summit aims to bring together fashion designers all over Mindanao for them to exhibit and display their latest collection at Limketkai Center (Rotunda) this August 3, 4 and 5, 2017. This will be a 3-day show and will open with an All Mindanaoan Collection and to be followed by the Mens Wear Collection. The second day will feature Invited Designers from Davao, General Santos, Cotabato, Surigao, Iligan, Butuan, Ozamis, and Zamboanga. The third day is intended for the Holiday Grand Collection. Designer Solo Shows and Brand Shows will be scheduled per day for the 3-day event. Shows will start at 4:00 PM.